Although the holidays are not a time when we tend to stick to our normal healthy routine, the rest of the year offers plenty of opportunity to make up for that. 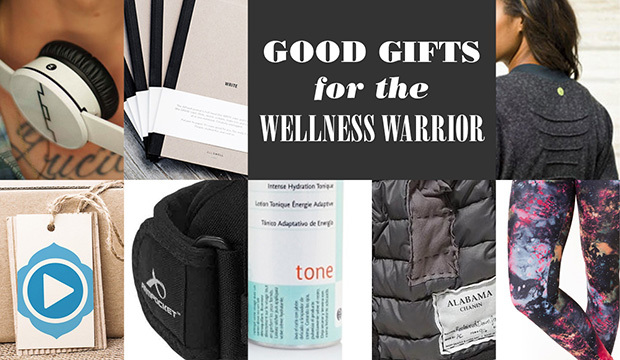 This gift guide features ideas for good gifts for your favorite wellness warrior(s) — including a one-of-a-kind reclaimed scarf, power pants, a clever two-sided journal, wireless headphones, the perfect coverup and inner peace. Journaling is an ancient practice that dates back to 10th Century Japan. Successful people throughout history have kept journals — Oscar Wilde, for example, said he never traveled without his diary — and the health benefits of journaling have actually been scientifically proven. This notebook by AllSwell has lined pages on one side and blank ones on the other. This allows you to write or draw, and means you no longer have to carry around two different notebooks — brilliant. 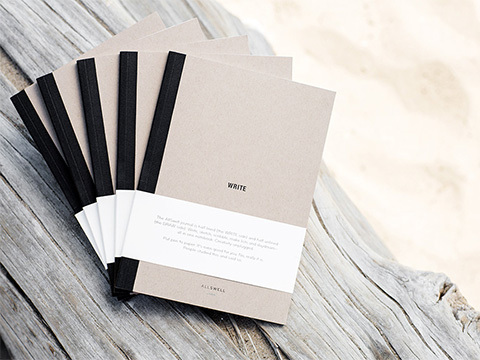 Each AllSwell journal is made in the U.S. out of recycled materials. It’s small enough to travel with, but large enough to hold really big ideas. As part of the brand’s Truth to Materials campaign, Patagonia has teamed up with Alabama Chanin to make a line of limited edition down scarves. Reclaimed Patagonia down garments were reconstructed by Chanin’s team of quilters in rural Alabama and made into one-of-a-kind neck warmers. 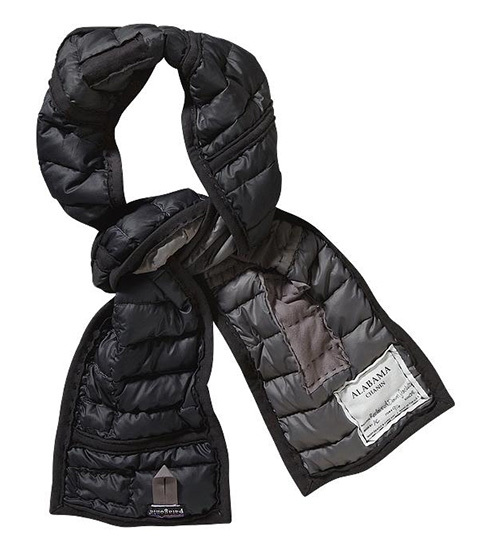 Just like a Patagonia down jacket, this reclaimed scarf will keep you warm and toasty and protect you from the elements. It’s also a great statement piece, allowing your ethically minded friend to wear their environmental consciousness not on their sleeve, but around their neck. 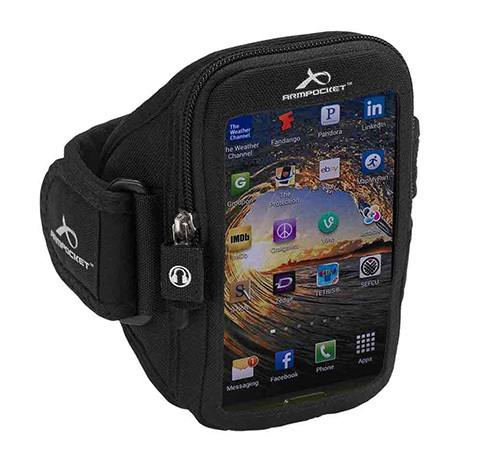 The annoying thing about having upgraded your phone recently is that you also have to replace all those accessories, like sports armbands. The Armpocket Ultra i-35 is made from recycled PET and natural bamboo rayon, which is moisture-wicking and resilient to bacteria, mold and mildew. It fits larger phones like the iPhone 6 (with small case), Galaxy S5 or Note 3. There’s also space for small items like credit cards and cash — good for that post-run pit stop at the coffee shop. Everyone that goes to the gym or yoga studio on a regular basis needs a good coverup. 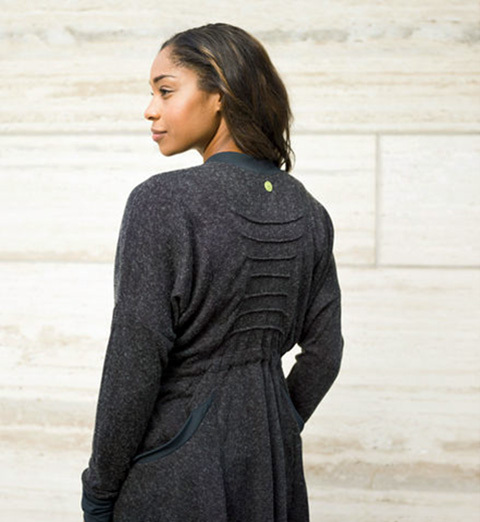 This softly textured knit wrap keeps you warm and cozy before and after workouts. We particularly love the deep pockets. The feminine fit — with a draw cord waist that allows you to cinch it for a slimmer fit — and pintuck details make it stylish enough to wear outside of the gym too. 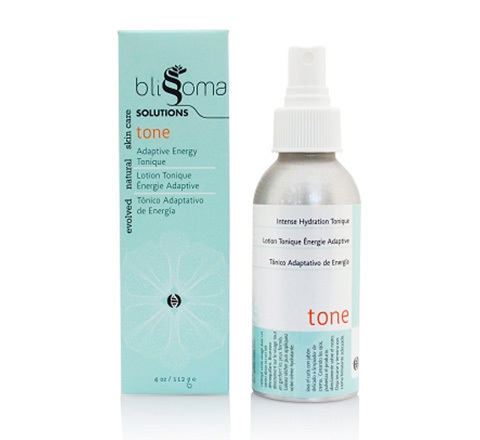 This Adaptive Energy Tonique provides a “clean burst of highly absorbant, water-based botanicals and nutrients to facial skin — like a health drink you can spray.” It’s the perfect post-workout pick-me-up. The base is a specially prepared infusion of fresh organic cantaloupe, rich in Vitamin A, B3, B6 and potassium. Organic Rhodiola, Holy Basil, and Red Clover help skin respond to internal and external stressors, process environmental pollutants, and hormonal fluctuations. Organic Calendula helps heal blemishes, synthesize collagen, and soothe irritations. Just like a good workout should be fun, so should good workout wear. Leggings by LA-based label Onzie are wildly popular in the yoga community, and come in a variety of colors and patterns. We love this galaxy print, which is universally flattering and reminds us that we are all a small (but significant) part of the universe. These leggings are, however, made in the US. These wireless bluetooth headphones lets you to listen to music while exercising without having to deal with those annoying cords. It sounds like a small thing, but any runner will appreciate how amazing this would be. 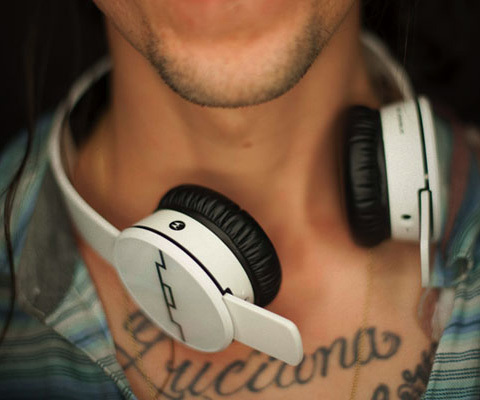 The sound rivals that of wired headphones and SOL Republic offers a 100-day money back guarantee (if, for some reason, your gift recipient shouldn’t like them). Another great feature is that they connect to two devices at once, meaning that you can seamlessly switch from watching a movie on your tablet to taking a call on your phone. After the holidays, we could all use a bit of yoga and meditation. Yoga Anytime was started by a community of yogis “dedicated to the global sharing of the teachings of yoga.” The site works a bit like Hulu, where a subscription fee gives you access to all of Yoga Anytime’s streamed content. Each show explores a specific aspect of yoga, including ashtanga, meditation, breath work, prenatal yoga and more. (A very pregnant yours truly makes a appearance on the Yoga for 2: Pre and Post Natal show.) It’s perfect for busy people who prefer to practice at home, whenever they have time. 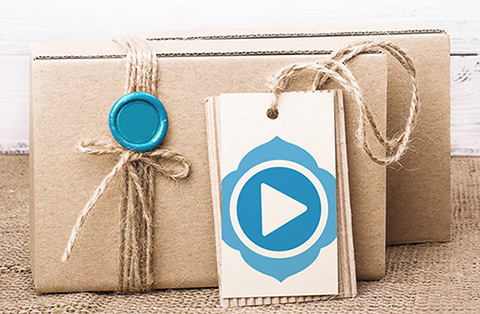 Pre-paid gift memberships are available for durations of one month up to a year. It’s inner peace in a box. Namaste.